This year’s theme for Taste of Soul is “Come Feel the Love” and Hyundai plans on showing Los Angeles just that. 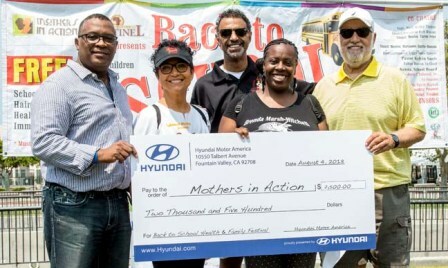 The road to Taste of Soul has officially begun and Hyundai helped kick things off with a philanthropic donation to Mothers in Action at this year’s 20th Annual Back to School event. The car company plans on providing several donations to non-profits in the Los Angeles area leading up to the Taste of Soul which takes place on October 20 on Crenshaw Blvd. Hyundai has a huge heart for charity, the company has awarded more than $145 million in grants through there Hyundai Hope on Wheels program where their mission is to support research into new drugs and treatments and help children. The car company has big plans for this year’s Taste of Soul with a major car sweepstake, giving away a 2019 Hyundai Kona. 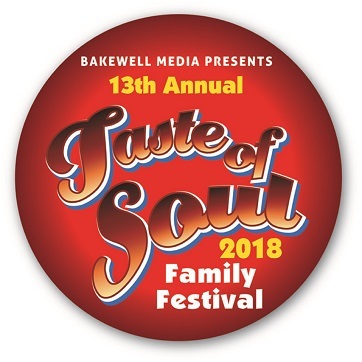 The Hyundai “Sound Stage” will also return to 39th and Crenshaw at this year’s Taste of Soul with performances from some of the most popular R&B acts. The Hyundai Sound Stage will also be the home of the Star Quest competition which will feature Los Angeles’ unknown talent and rising stars. Hyundai will join the Los Angeles Sentinel on the road to Taste of Soul with different events leading up to the big day. The road to Taste of Soul will allow Angelinos the opportunity to “come feel the love” of the rich heritage of Black Los Angeles and provide opportunities to register to win the Hyundai Kona and VIP Taste of Soul prizes. Artist line up announcements for the Hyundai Sound Stage will start next week. 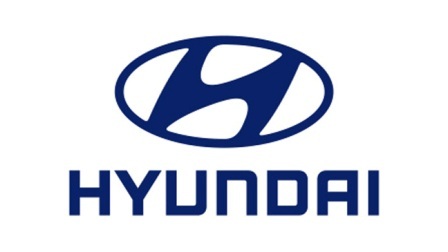 Hyundai is a Korean company, but over half the cars sold in the U.S. are made in the U.S. They have technologically sophisticated manufacturing facility in Montgomery, Alabama, engineering facilities in Michigan, plus design, research, and testing grounds in California. All of which provides around 5,000 jobs for American automotive workers. Add to that , they total more than 32,000 employees at Hyundai dealerships and 6,000 workers employed by various vendors.